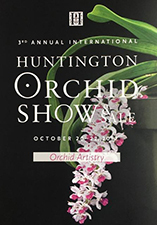 2017 is the third year our society will participate in the Huntington Botanical Gardens International Orchid Show. 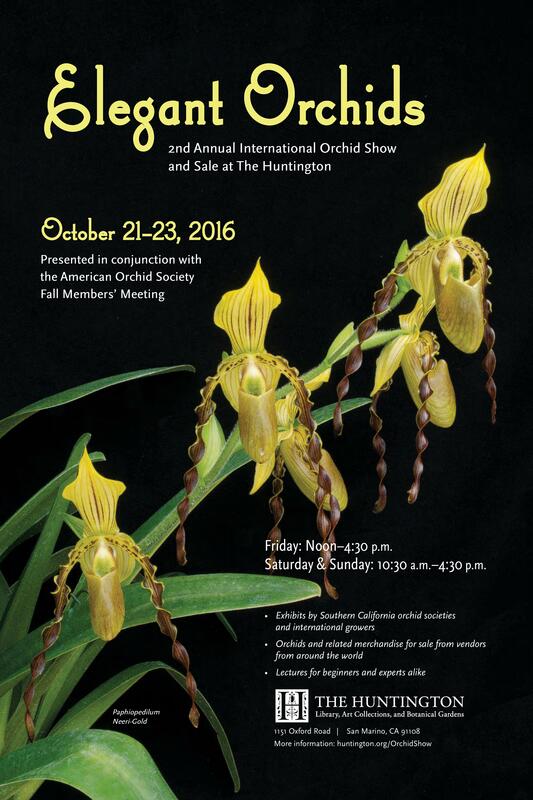 The Huntington Botanical Gardens 3nd Annual International Orchid Show will be held on October 20 - 22, 2017. Show times will be the same as the Huntington's, Friday-Sunday 10am to 5pm . This year's theme is "Orchid Artistry", and a full-color large postcard sized poster with the show's information is available here. In addition to the displays, vendors will also be offering orchids and supplies for sale. OSSC members who wish to have their blooming orchids in the society's display MUST submit a completed entry form for each of their plants by 6:00PM on TUESDAY, OCTOBER 17th, no exceptions. The official entry form must be used, and can be downloaded here. The class and section each plant belongs in can be found in this section of the Huntington Exhibitor Guide. All society members who participate in the show function as temporary Huntington Volunteers and will have free admission during setup and show dates. An OSSC society badge is needed to be worn to show guards if needed. All such personnel who volunteer their services will be invited to the Opening Reception on Thursday, October 19th @ 5:00PM. There is no fee to come and enjoy yourselves. Vendor plant sales will be open at 4PM and those coming can get their choice of plants before others do. Teardown of the display starts at 5PM on Sunday, October 22 and goes until 8pm. While OSSC has participated in every Southland Orchid Show since its inception, it's only in recent years , through this website, that we have been able to share the results and photos from past shows. This has proved useful: recently, an Internet user was searching for information on a particular orchid that was listed in the ribbon judging results, and we were able to connect him with the owner of that plant for further information! The East West Orchid Show was an annual event hosted by the East West Development Corporation at the New Otani Hotel and adjacent Weller Court in the Little Tokyo section of downtown Los Angeles. The show was organized by the Southland Orchid Show Committee, and featured displays by seven different orchid societies from Southern California and over 30 vendors from around the world displaying and selling their orchids. 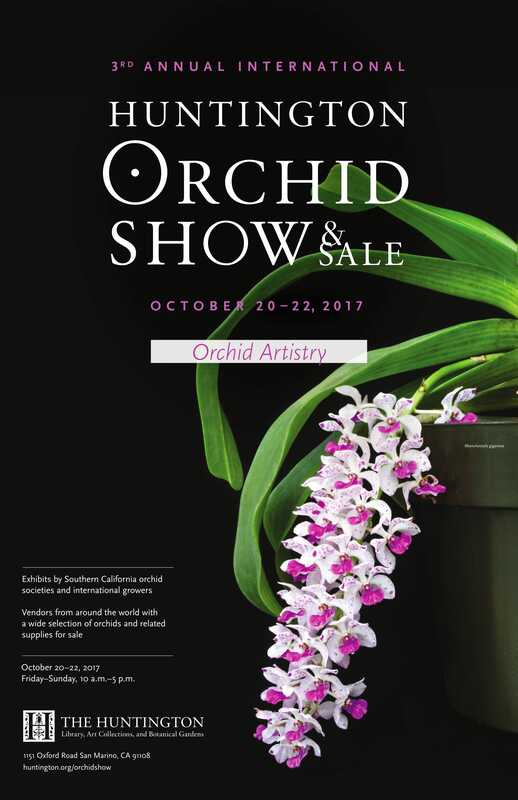 Information on other upcoming orchid shows in California can be found in the "Other California Orchid Events" section of our Calendar page.